Just because you can push email, doesn't mean you have to become a Pavlovian dog like some of our Blackberry brethren. I've left the "push" on for my email but I refuse to jump every time it pings, vibrates, or otherwise announced new mail. Stopping for every email would make it impossible to get anything done. Be the master of your email, don't let email master you. BusySync still lets you sync your calendars with your family and co-workers. Likewise it allows you to painlessly publish to Google if needed. 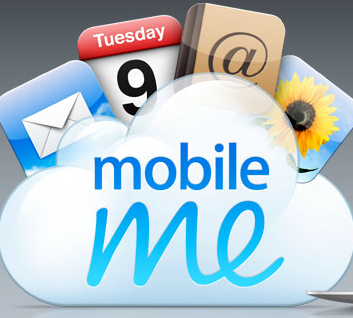 I had an interesting chat with George Starcher and Katie Floyd over the weekend where we figured out a work-around for MobileMe's inability to sync subscribed calendars. Specifically, if you subscribe to the calendar at your Google calendar and then sync it down to your iCal with BusySync, you can get it to push. If anyone knows a way to push the birthday calendar, let me know. I've noticed that while the email pushes nearly immediately, the calendar and address push is a bit slower. For me it is generally 5-15 minutes. This delay doesn't bother me at all. I really like the look of the web access portal. It looks and feels like an application. I think the UI is heads and shoulders above Google's offerings but feature poor. There are a lot of options available in Google calendar that are simply not there on MobileMe. Lets hope they continue to improve stability and add features as things calm down.